Plantation Homes and Coventry Homes are helping home buyers prepare for warmer weather and summer barbecues with an incentive package that encourages outdoor living. From April 1-30, buyers will receive the Great Outdoors package when they purchase a new Coventry or Plantation home in the Dallas-Fort Worth Metroplex. The package — which includes an outdoor kitchen, exterior patio fan and outdoor television outlet — is only available for to-be-built homes. All Coventry and Plantation homes are built to meet or exceed the highest standards set by the Leadership in Energy and Environmental Design (LEED), program. Homes certified under this program save owners money on energy costs, reduce environmental impact and are healthier than other homes. 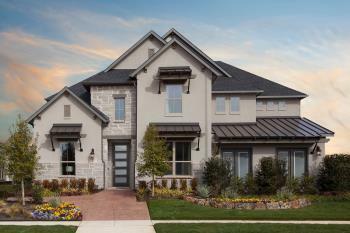 Coventry Homes builds in seven well-appointed communities, including Canyon Falls in Flower Mound, Hollyhock in Frisco and Merion At Midtown Park in Dallas. Homes are priced from the $350,000s. Plantation Homes are priced from the $250,000s and can be found in communities such as Viridian in Arlington, Trinity Falls in McKinney and Somerset in Frisco.